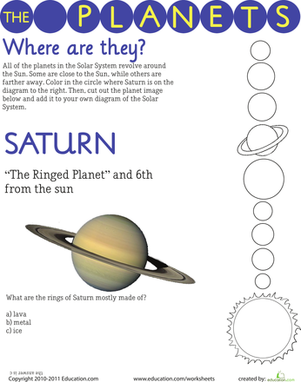 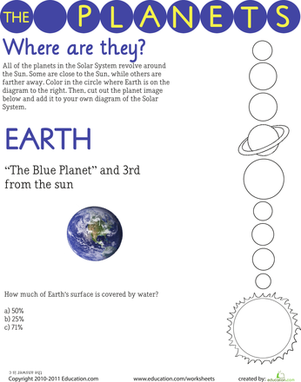 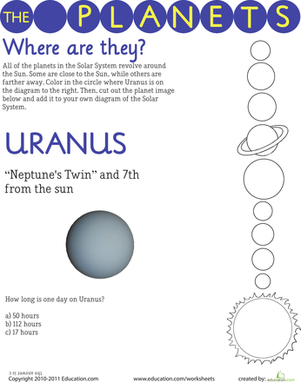 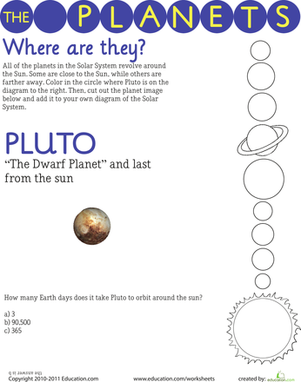 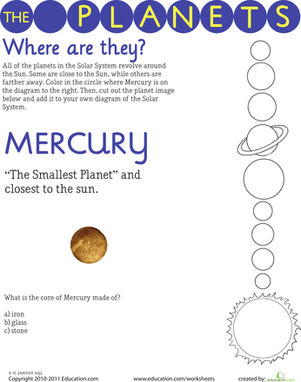 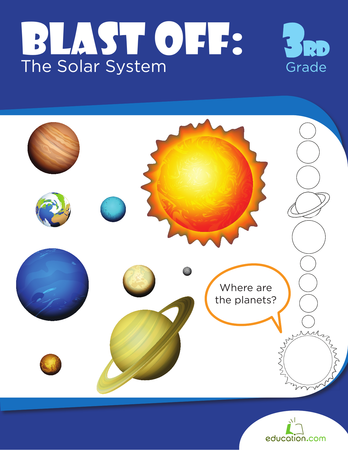 Teach your kids all about the second planet from the Sun with this simple science sheet. 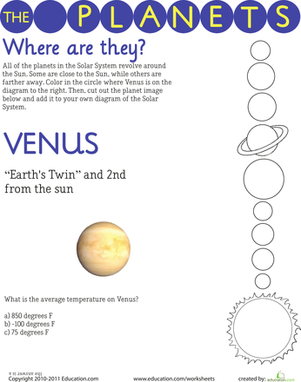 They'll answer a question about Venus, then cut out a picture of Venus to use in their own Solar System diagram. 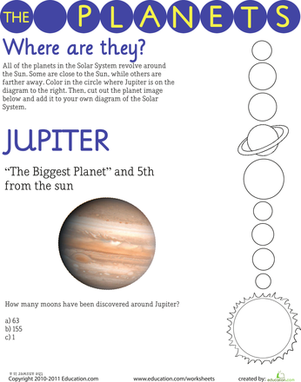 This worksheet features a scientific explanation and awesome photos of solar eclipses, which are extremely rare scientific phenomena.